Following the explosive Summer 2016 doping charges involving two of the most recognizable and profitable Mixed Martial Arts (MMA) fighters in the world comes the outcome of the forma; investigations into those charges. On January 4, 2017, the United States Anti-Doping Agency (USADA) issued its final ruling concerning Brock Lesnar testing positive for a banned substance around the time of UFC 200. 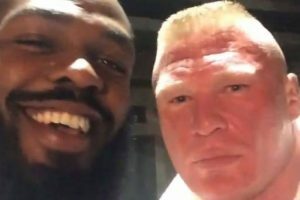 Brock Lesnar was suspended from in-ring competition retroactive to July 2016 in the UFC / MMA over the confirmed finding. The full USADA ruling is here. Brock Lesnar’s win over Mark Hunt has been changed to a no-contest. On November 7, 2016, the USADA issued its final ruling and sactions concerning Jon “Bones” Jones testing positive for a banned substance before UFC 200 causing his match to be cancelled. The investigation found that the use of a banned substance was unintentional, but reckless on Jones’ part. The full USADA ruling is here. Jon Jones was stripped of his UFC Light Heavyweight Championship due to the ruling.